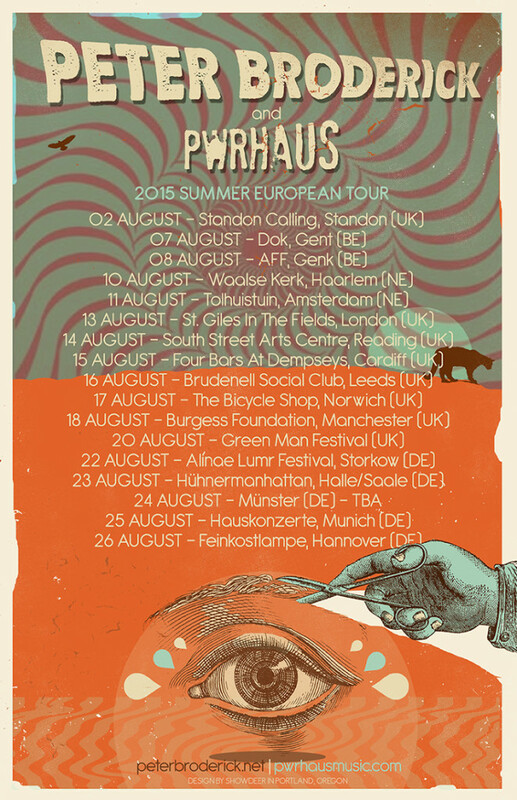 Peter Broderick » Blog Archive » touring in europe now! This entry was posted on Saturday, August 1st, 2015 at 8:05 am	and is filed under News. You can follow any responses to this entry through the RSS 2.0 feed. You can leave a response, or trackback from your own site. Poster confused me: August 10 (Amsterdam) and 11 (Haarlem) are mixed up. Swiss town of Lucerne. Broderick developed a friendship with some of the locals who eventually got the idea of inviting the American musician to be a guest of the city for three weeks while recording an album with a backing band of local musicians.